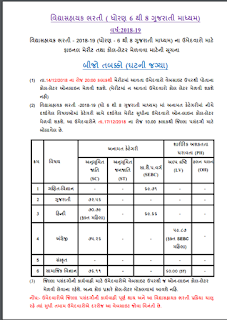 Merit List : AvailableGujarat State Educational Board (GSEB) published Vidyasahayak Bharti 2018 for (std 6 to 8) Recruitment, 2018-19 Merit List & call letter for District Selection for Vidyasahayak Gujarat Primary Teacher Post. Candidates need to Download your Call Letter to enter Form Number, Birth Date, TET 2 Exam number & exam date to view above said final merit & Download call letter. Also Can Check Vidyasahayak Bharti Final Merit List 2018 available at http://www.vidyasahayakgujarat.org. (Vidyasahayak Bharti 6 to 8 Declared. 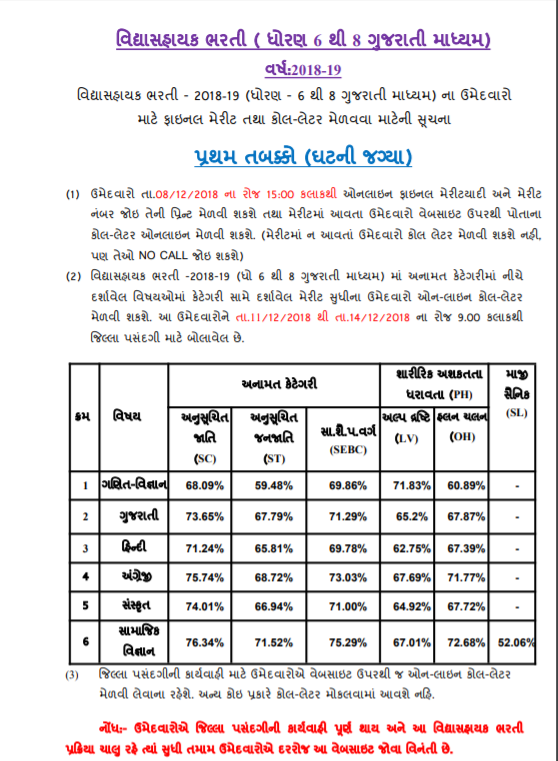 0 Comments "Vidhyasahayak Bharti 2018 Second Round Declared Merit List @ Vidyasahayakgujarat.Org"